We start every year off by watching the Rose Bowl Parade. The theme of “Treasure Life’s Journey” was more than appropriate for the Donate Life float, which holds our rose dedication to Kyleigh, who gave the gift of life through two heart valves. A quiet month ended on a high note when 5 babies were born at Liberty Hospital Birthing Center on Leap Day, all receiving Kyleigh’s Gift SleepSacks! Happy 4th Birthday in heaven, Kyleigh! To celebrate Kyleigh during her birthday month, we held a diaper drive to benefit HappyBottoms. This was the second year that we honored Kyleigh’s memory with diapers and our biggest collection yet…over 13,000 diapers!! Rainbows continue to be a source of comfort for us. Many family members and friends continue to take pictures of rainbows for us, or tell us that they saw a rainbow and thought of Kyleigh. This rainbow was seen behind our house in mid-May…always a reminder to us of God’s promise and that Kyleigh is safe in His arms. The cemetery always looks so beautiful on Memorial Day. Thank you to those who continue to remember Kyleigh on this day, whether it’s with pretty flowers or in your thoughts and prayers. We spent a beautiful Friday night in June supporting the Liberty Hospital Foundation at Twilight at the Treehouse. Over $82,000 was raised, including $11,000 to fully fund the Student Assistance Program at Liberty Public Schools. The Foundation supports many programs and services and we are honored that Kyleigh’s Gift is one of them! The month of July kicked off the beginning of planning for the 3rd Annual Kyleigh’s Gift Run/Walk! Save the Date postcards and sponsor letters were sent out. Monthly planning meetings were put on the calendar. The excitement started to build for what was our biggest year yet! Work continued to prepare for the 3rd Annual Kyleigh’s Gift Run/Walk, as well as the beginning stages of putting new ideas in place for how we can further the reach that Kyleigh’s Gift has in our local community. Read on to find out more! Unspeakable Loss : We were interviewed for a two-part series on pregnancy and infant loss. This is Part 1 that was featured in the Liberty Tribune newspaper, focusing on miscarriage. The impact that Kyleigh’s Gift has on Liberty Hospital Birthing Center families is featured in both parts. By the end of September, Kyleigh’s Gift began providing meal vouchers for breastfeeding mothers in the NICU at Liberty Missouri Hospital Birthing Center. Moms in need can use these for up to three meals per day in the hospital cafeteria. Vouchers are also being offered to families in Pediatrics who need extra help during a difficult time. October was a big month for Kyleigh’s Gift! The 3rd Annual Kyleigh’s Gift Run/Walk took place on October 15, 2016. The day was overcast with a few sprinkles here and there. We weren’t concerned about a rainout, but wanted the weather to hold off for the Run/Walk. Just as the 5K runners took off, the clouds parted and the sun shone bright for the remainder of the Run/Walk. It was a beautiful evening full of laughter and tears, family and friends, love and support! 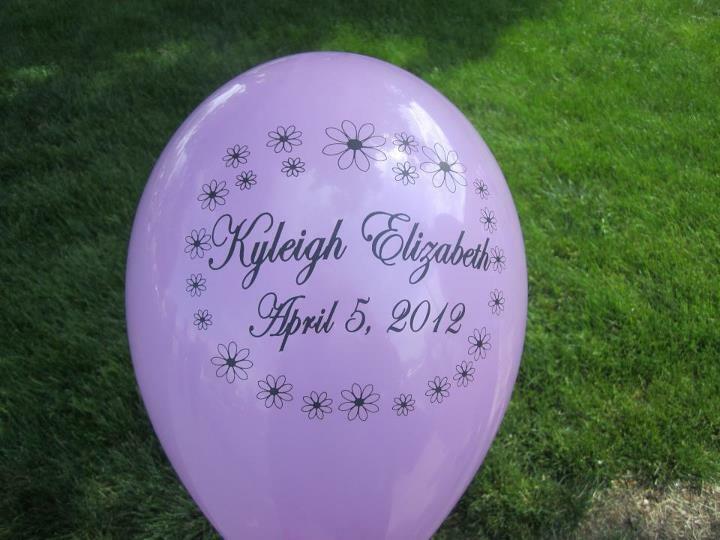 Event photos can be found on the Kyleigh’s Gift Facebook page. By the end of November, the first of the Kyleigh’s Gift miscarriage care packages were distributed throughout Liberty Hospital. Social workers in the Emergency Department, OB and Surgery Center will have the care packages available for any woman facing pregnancy loss at the hospital. Thanks to many generous donations, we’ve completed 30 care packages. We hope to make this a continuing project through Kyleigh’s Gift. Kyleigh’s Gift closed out 2016 with a very special gift for a new family. At the end of December, twins were born at the Liberty Hospital Birthing Center and were to be discharged to foster care. The foster family only had one car seat available to them. Kyleigh’s Gift purchased a second car seat, ensuring that the twins were able to be discharged to their new family. Because of the support that Kyleigh’s Gift received in 2016, we were able to provide car seats and pack & plays in urgent situations. SleepSacks continue to go home with every baby born at the Liberty Hospital Birthing Center. SleepSacks also continue to be sold in the Liberty Hospital Gift Shop. Thousands of diapers were donated to HappyBottoms in memory of Kyleigh for her birthday. Meal vouchers are made available to families in the NICU and Pediatrics. Care Packages are given to all women facing pregnancy loss at Liberty Hospital. We are in the beginning stages of offering bereavement materials, such as books, memory boxes and memorial items for families facing a loss in the birthing center. Thank you for helping to make all of this possible! Kyleigh is making a difference.